Michiganders could be in for a treat this weekend. Thanks to a solar flare on the surface of the sun this week, a geomagnetic storm could be visible in the skies over parts of Michigan this weekend. Best shot Friday night and early Saturday morning. 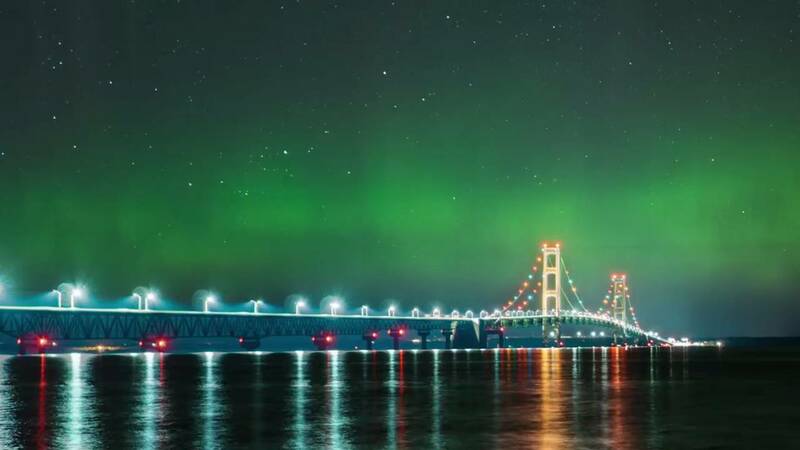 Northern Michigan will have the best chance to see the lights. After dark Friday, into early Saturday, especially after 11 p.m. is the prime target time. Photographers: Grab a tripod, long exposure with cable release, remove filters, focus at infinity. Northern Lights are seen in Northern Michigan much more often than Lower Michigan, although it isn't unheard of. Weather is always a factor. Keep an eye on the latest here. They are known as 'Aurora borealis' in the north and 'Aurora Australis' in the south.. Auroral displays appear in many colors although pale green and pink are the most common. Shades of red, yellow, green, blue, and violet have been reported.